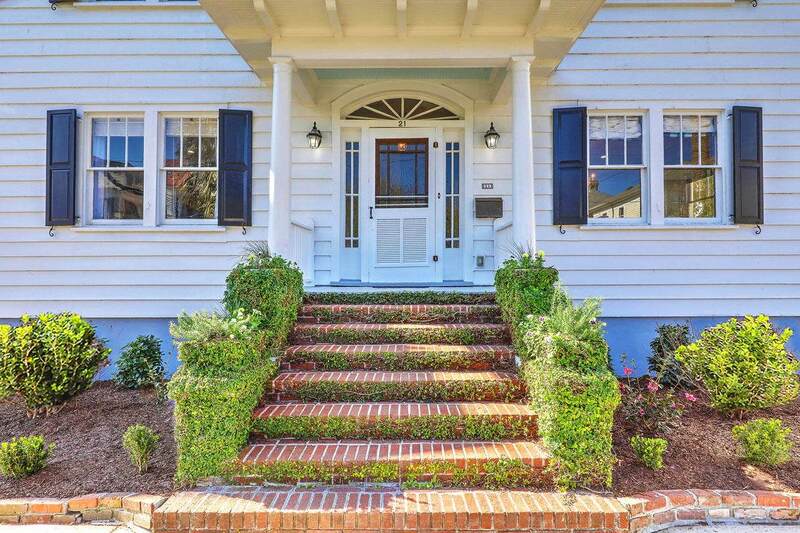 The 1920s charm of 21 Colonial Street is evident from the entry hall with its inlaid hardwood floors, fanlight over the front door, nice moldings, glass doorknobs and 3-over-1 windows. The newer addition to the back of the house honors these historic details while adding modern living spaces. 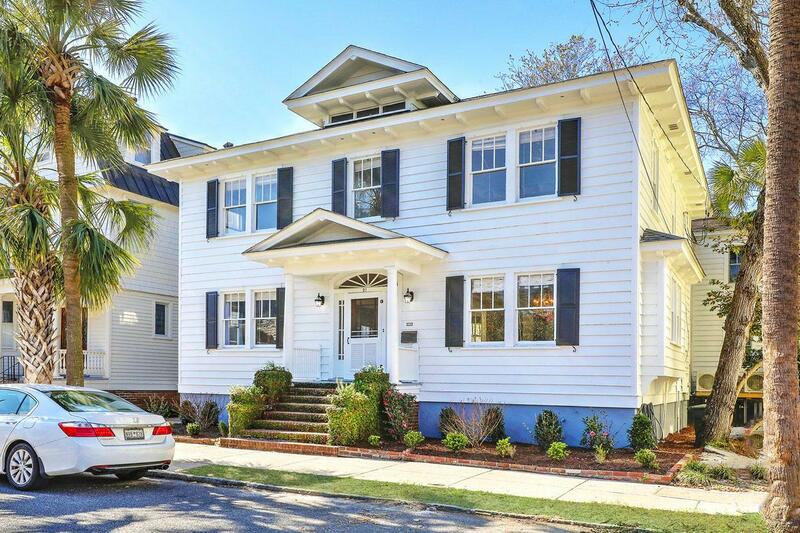 This ideal family home is move-in ready, with newly painted walls, refinished hardwood floors, and fresh landscaping. 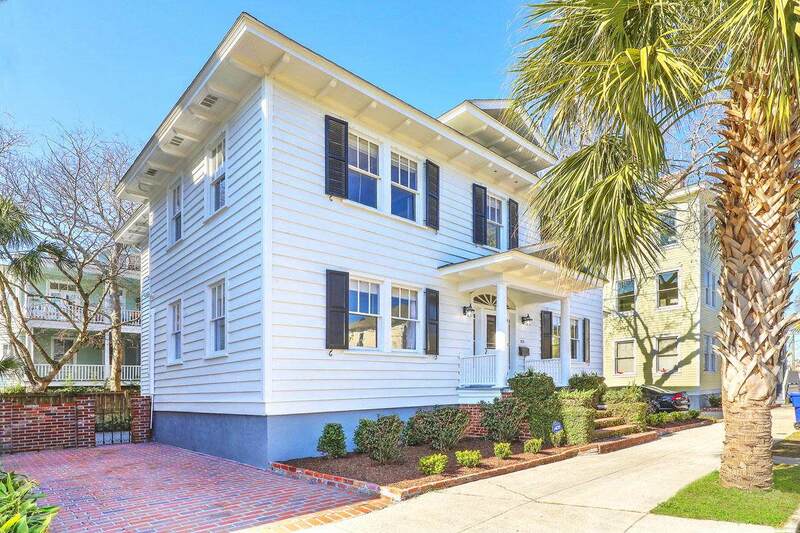 Located in downtown Charleston's famous South of Broad neighborhood, it is just steps from Colonial Lake Park, Moultrie Playground and tennis courts, churches, restaurants, schools and shops. The entry hall is flanked on each side by French doors which lead to traditional formal rooms. 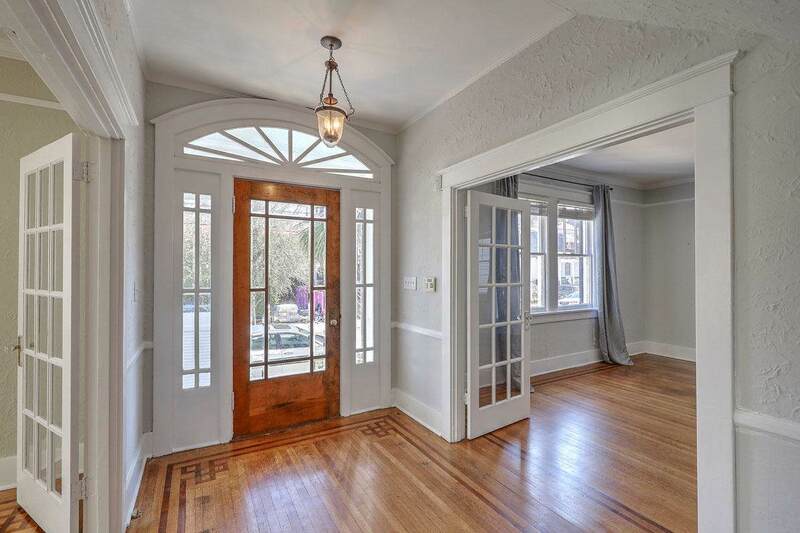 To the right, the formal dining room has built-in china display cabinets and a window seat.